If you are looking for information on the Inspect-It 1st franchise business opportunity, Inspect-It First franchises or Inspect-It 1st franchising, then you have come to the right place. Do you want the freedom to set your own schedule each day? Do you have a professional demeanor and enjoy interacting with people? Do you have a sincere desire to help clients make informed decisions regarding one of life's largest decisions? If you answer "Yes!" then Inspect-It 1st® may be the right opportunity for you. 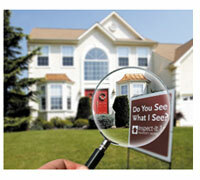 Founded in 1991 as American Home Inspection, we changed our name and began franchising in late 1998. Our franchisees are engaged by consumers, realtors, lenders, relocation companies, investors and others to provide an objective assessment of a property's major systems and components. They are generalists who identify if further evaluation by a specialist (i.e. plumber, electrician, structural engineer, etc.) is warranted, so previous experience in construction or the trades is not required. Following an inspection, franchisees deliver our proprietary inspection report (either hardcopy, via email, or through our online system), complete with digital photos. 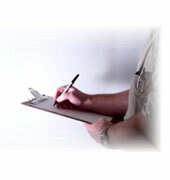 Every month our franchised offices perform thousands of inspections in the residential and commercial markets. So if you're looking for an experienced partner, look no further! And M O R E!